Puppies thrive on attention and sometimes beg for it! Heck if you’re dishing out treats, pets, and love I might start to ask for a little myself. Who doesn’t love to be loved? What happens when the love becomes a little (or a lot) more annoying though? You come home only to be greeted by wet kisses and paws on your pant legs. You lean down to pet your super excited pup who thinks it’s been an eternity since you’ve been home. No problem there, right? Well…..
Puppies learn at an early age that when they jump, and someone pets, them they get attention. Since attention is a form of a reward in dog training, your puppy quickly learns that you like it when they jump on you. After all, you pet them and give them praises when they do so. The problem is that when they get to be an adult… larger, bigger, stronger…it feels as if you’re going to get knocked over when they jump on you. This is a bad thing and is considered bad manners. Your adult dog is now demanding attention since they learned early on that jumping is what works to get them that attention. Maybe you don’t mind your dog jumping on you, but not everybody else is going to love it. Your neighbor might not like to be greeted with jumping while you’re out on your walk, your grandma might not like to be greeted with sharp nails and paws when she comes to visit you. It’s better to teach your puppy what to do when they are young so that they become well mannered as an adult. Teach your puppy to keep all 4 paws on the ground in order to get some lovin’. This means you’ll ask your puppy to sit and only pet them only when they are in the sit position. If they start to jump, take your attention away. Attention is given for good behavior only! Avoid eye contact, verbal communication, and petting, if your puppy is jumping. 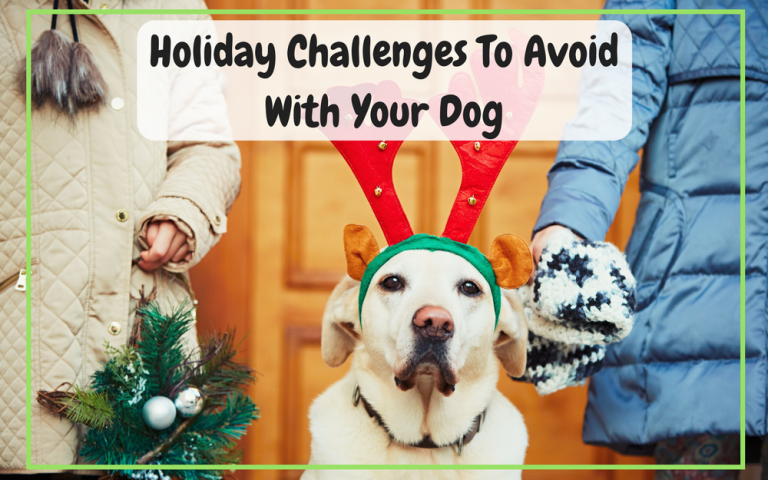 Instead, cross your arms, ask your pup to sit and avoid eye contact until they are sitting. Don’t drop your body posture when you approach your pup. Dropping your posture is an invitation to come closer and jump. Keep your puppy on a leash when meeting and greeting people. You can step on the leash to prevent your puppy from being able to jump. Take back your personal space. If your puppy is jumping on you, make sure you take a step at them instead of stepping away from them. Don’t give up your personal space as this is an invite for your puppy to come closer and jump on you. Teach the “off” cue. You won’t use the phrase “get down” if your puppy us jumping. “Off” means put all 4 paws on the floor, and down (or any version of it) literally means go lay down. More than likely your puppy has not learned what the word “off” means so you cannot ask them to perform the command just yet. If you say “off” to a puppy that doesn’t know what you’re saying, you’re actually teaching them that jumping=off. Every time your puppy hears “off” they will think you want them to jump…Yikes, that’s not right! Puppies learn new words by association. This means that in the beginning, you can only say the right word with the right action. I would say “off” to a puppy when 4 paws are on the floor, not when they are jumping. Soon the puppy will learn the word association and then it can become a command to be used later down the road. If your puppy is jumping, remember, they will soon be a bigger dog that can easily trip you or accidentally knock you over. Teach your puppy from the start that jumping is a no-no. Reward only for the behavior you want otherwise you’re sending a conflicting or confusing message to your pup. Does your puppy jump on your or guests? In the comments below tell me when your puppy jumps the most. You can teach her that she needs to sit before she gets any attention. Don’t pet her when she jumps, instead ask her to “sit.” She can be rewarded with attention when she’s sitting politely!